FPM has a status page like Apache or Nginx showing the number of processes it has spawned, how many are idle, how may are running, etc. Matching values in ps and status page. Very different numbers. 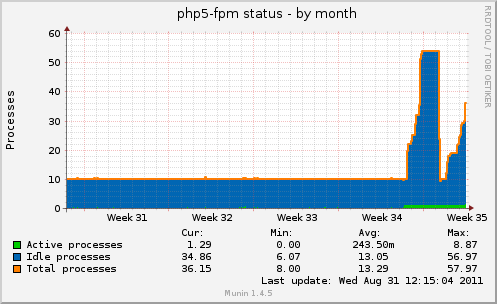 I bet ps is right and fpm status page is buggy.